By Gregory H. Lercher, Esq. 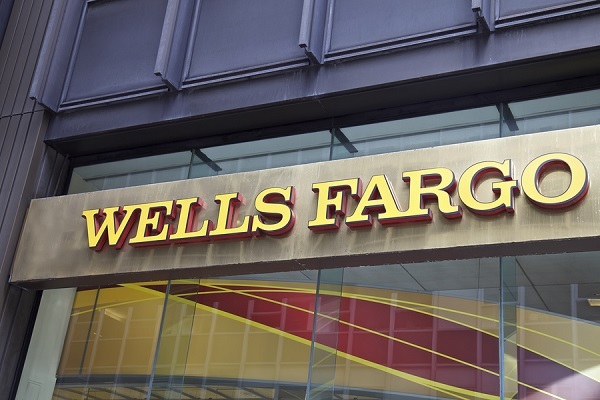 The Consumer Financial Protection Bureau (CFPB), an independent regulatory agency of the federal government, identified illegal practices and breakdowns throughout Wells Fargo’s student loan collection and servicing process. In summary, the CFPB found that Wells Fargo charged student borrowers illegal fees (such as charging on-time payers with late fees), failed to provide important payment information to consumers, and illegally failed to update and correct inaccurate credit report information it provided to credit reporting bureaus. These errors could damage a consumer’s ability to obtain new credit or apply for a job. Specifically, Wells Fargo illegally processed student loan payments in a way that made consumers pay unnecessary late fees. For example, student borrowers typically have their loans divided between multiple student loan accounts. If a borrower's payment was not enough to cover the total amount due for all loans in an account, Wells Fargo divided that payment among the loans in a way that maximized late fees rather than satisfying payments for some of the loans. Wells Fargo left borrowers in the dark about how it divided single payments between their multiple loans, did not make borrowers aware that they could decide how their payments would be applied across loans, and then hit consumers with unnecessary and avoidable late fees. Furthermore, Wells Fargo’s billing statements did not make it clear that partial payment could be counted toward paying down student debt. The CFPB’s order comes as it takes steps to ensure that all student loan borrowers have access to adequate student loan servicing. Last year, the CFPB released a report outlining widespread servicing failures reported by both federal and private student loan borrowers and published a framework for student loan servicing reforms. Students and their families can find help on how to tackle their student debt on the CFPB’s website. Student loans make up the second largest U.S. consumer debt market with roughly $1.3 trillion owed by borrowers who took out federal and private loans. Wells Fargo is the second-largest private student private student loan lender in the United States and services about 1.3 million consumers in the United States. The consumer lawyers at LeavenLaw dedicate themselves to fighting for our client’s rights against banks, debt collectors, and the ‘Big Three” credit reporting agencies. LeavenLaw attorneys also zealously represent student loan borrowers and fight back against illegal practices like those described above. If you have been the victim of illegal student loan debt collection, or if you have errors on your credit report, please call us today at 1-855-LeavenLaw to schedule your free consultation. You can also access free copies of your credit report at www.annualcreditreport.com and then schedule a free credit report analysis with an experienced FCRA lawyer. For more information, please visit www.leavenlaw.com. St. Petersburg, and the entire gulf coast of Florida, are beginning to see the effects of an improving economy. The summer months of 2016 boasted the highest national consumer confidence index ratings in the past year, according to the Conference Board’s Consumer Confidence Survey. As consumer confidence improves, many local businesses see increases in both sales and patronage. Part of keeping the sunshine city economically successful means ensuring that all of our great businesses are accessible to the entire community, especially those with disabilities. Recently, LeavenLaw successfully litigated two lawsuits against inaccessible businesses in the bay area that resulted in real-world change. St. Petersburg resident, LeavenLaw client, and self-styled dining connoisseur, Kimberly Rankine frequently dines and shops locally. Kim says that she “love[s] being able to go to different restaurants and sample different cuisines.” Recently, however, when Kim—who uses a wheelchair—dined at a local hamburger shop, she encountered barriers that kept her from accessing parts of the property that are open to the public. The historic south St. Petersburg hamburger shop that Kim visited is a local landmark, but sadly, Kim was unable to access the restroom during her visit. After her experience, Kim contacted LeavenLaw Attorney Jordan Isringhaus and developed a plan. After only two months of federal litigation, LeavenLaw obtained a settlement for Kim that requires the restaurant to make its restroom accessible, as required under the Americans with Disabilities Act (ADA). The ADA, which mandates equality of access for disabled Americans, has been law since 1990, and most individuals with disabilities are protected by the ADA. The ADA provides information about accessibility on its website, including the ADA Guide for Small Businesses. If you, or someone you know, have encountered a barrier at a public place, call LeavenLaw at 1-855-532-8365 for a free consultation. 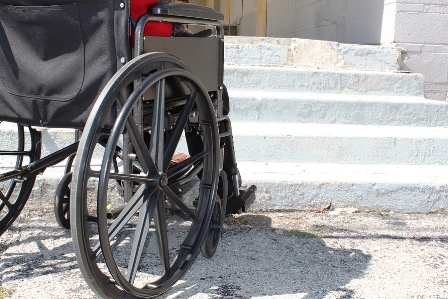 LeavenLaw attorneys are skilled at evaluating ADA compliance issues and will assess your legal rights and explain your options in a detailed, understandable way.